Good day, i posted about my third schengen refusal a couple weeks ago and i was advised to consult an immigration lawyer. I contacted one i found on the France embassy website who is an attorney in paris. He charged 125 euros an hour and made me pay for 4 hours. He asked for all the documents i submitted with my previous application and he just emailed me with his resolution. 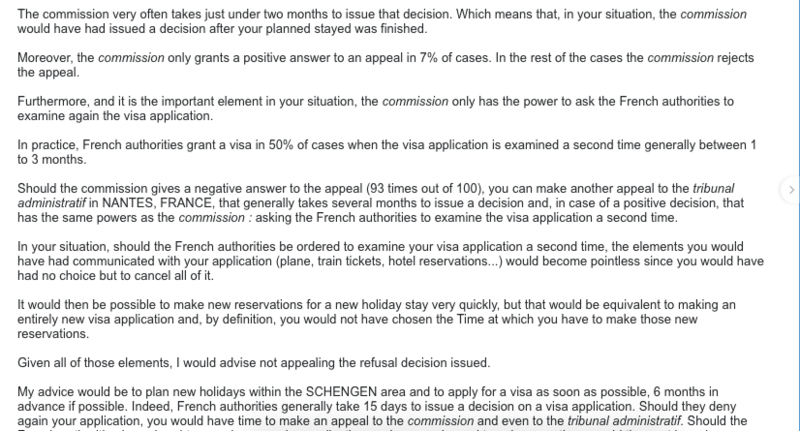 I asked him in a previous email how the consultation thing works, was wondering if he would inquire from the france home office for the refusal reasons. I have attached a copy of the last email he sent me and i was wondering what i should do. What would making a new application change if the reason for the refusals is unknown? Browse other questions tagged schengen france nigerian-citizens serial-refusals or ask your own question.